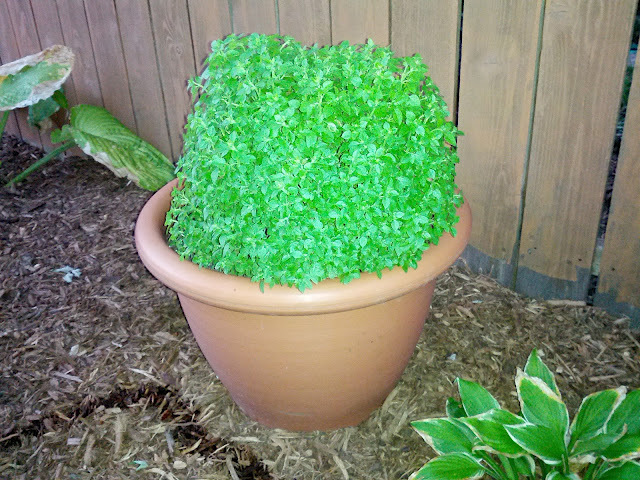 Our Boxwood Basil has really taken off this summer in the giant pot we placed it in near our fence. I think if I bring it back under the pavilion near the garage we can create a little micro-climate and it *might* survive the winter? But....that's not for discussion for another few months, right?